Eating this. I miss it. 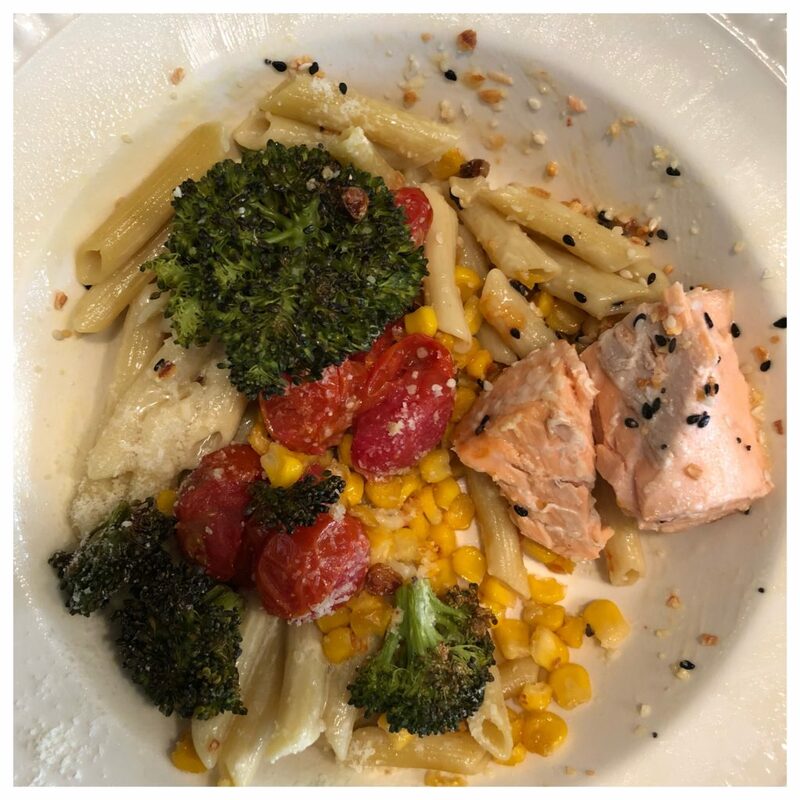 If you missed my first post, I roast veggies and salmon to eat with the above “pasta”…AND IT’S DELISH. My new Nickel and Suede earrings! I’ve had my gold pair for awhile, but Kilee (the creator of these earrings and owner of Nickel and Suede) sent me 2 more pairs! To read more about their business (it’s a total family run business) and how they got started, click HERE. But here’s what you need to know about the earrings: the quality is amazing, they are light as a feather, the packaging is beautiful, and there are lots of different shapes, colors, and sizes to choose from. And I love that by buying the earrings you are supporting Kilee and her family (she’s got 5 boys, y’all)! You’ll see my gold pair in a picture further down in this post, and you’ll see my new spearmint and cork pairs in the coming weeks. All of the jewelry is great, and they even have a GAME DAY page. The Game Day jewelry would make perfect Graduation gifts for girls you know going off to College! Go take a look around! The model below is wearing the large option, but I prefer the mediums. And you can check out this page for simple pictures showing you the 3 different sizes of the earrings. I was at a blogger conference this past weekend, and I had an absolute blast with my blogger friends. I’ll be doing a recap of what I wore to all of the events on Friday’s post! LOTS of cute stuff! Carter has 1 soccer game, and that’s about it. No huge plans, and I’m thrilled about it. Yesterday I discovered that SO MANY THINGS that I’ve talked about in the past are either BACK IN STOCK or NOW ON SALE! Let’s start with some restocks of items that lots of you ladies were disappointed you missed out on the first go around. GIRLS. I LOVE and ADORE this dress. I’ve probably worn it 5 times already, I loved it every time, and I get compliments every time. 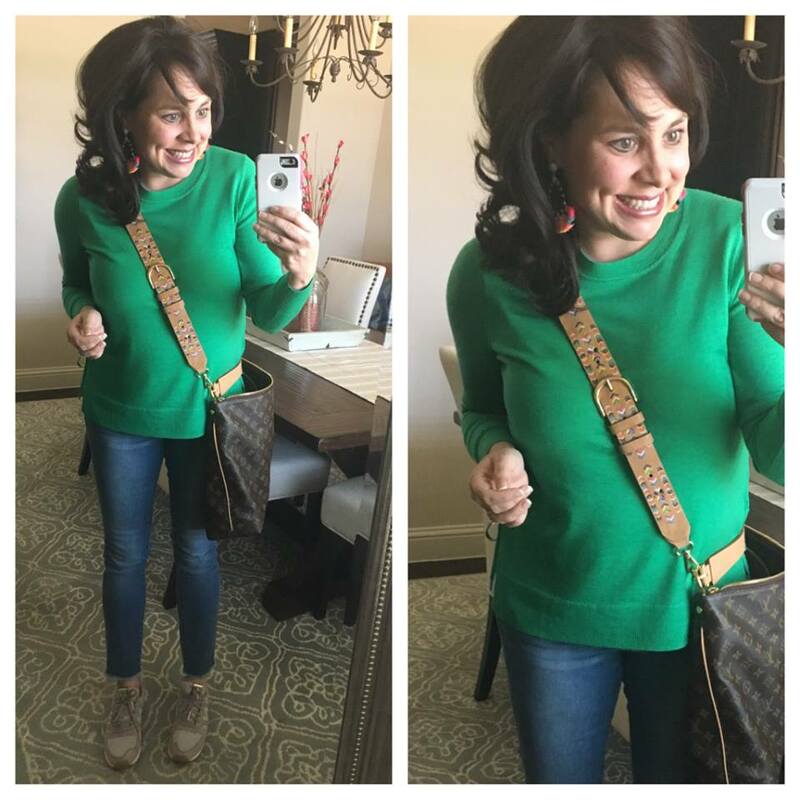 This picture is after I wore it on a short road trip in the car….and then straight into a meeting. Size References: I have a small in the dress, a medium in the jacket, and I sized up a 1/2 in the sandals. This dress is available again and FULLY STOCKED IN ALL SIZES (as of yesterday)! And just in case it sells out at Nordstrom again, it’s fully stocked at Sanctuary also, and they have FREE SHIPPING! 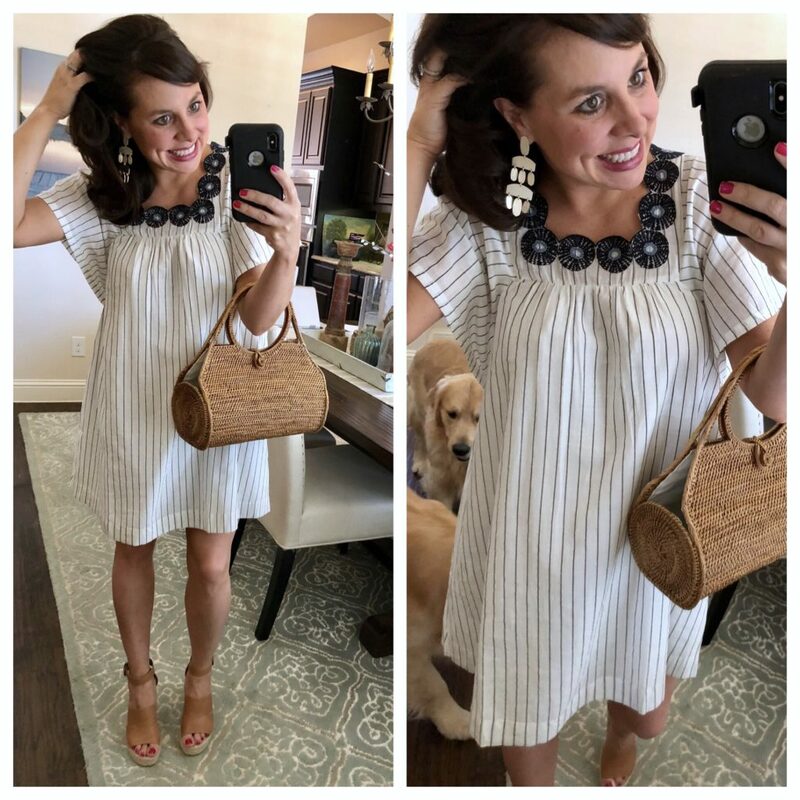 This is a great little dress that’s perfect to just throw on and go. You’ll look super cute and totally pulled together with minimal effort. 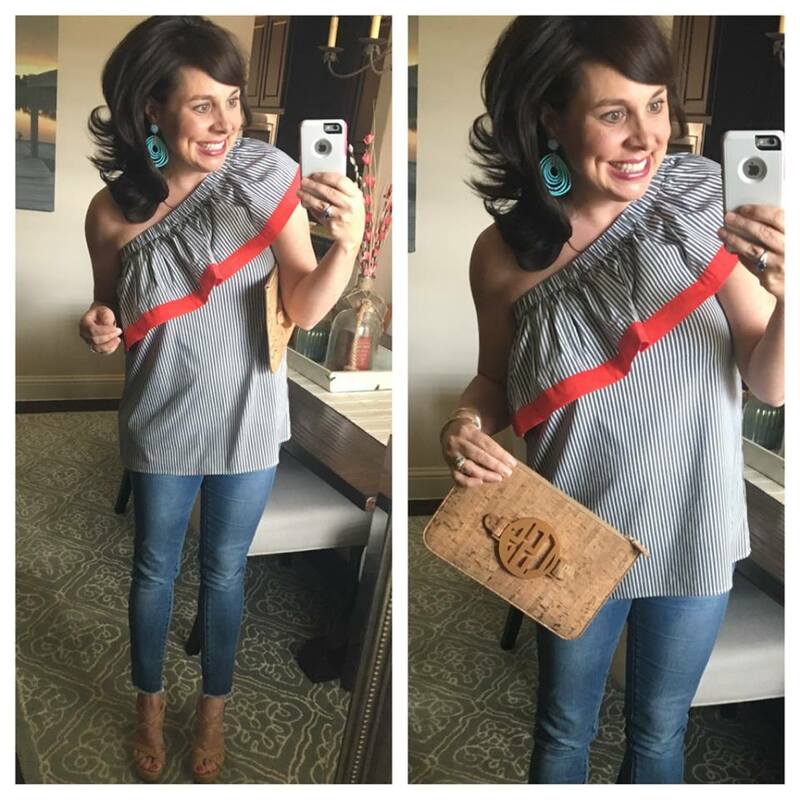 Click HERE if you want to see the dress styled differently with a turquoise necklace. 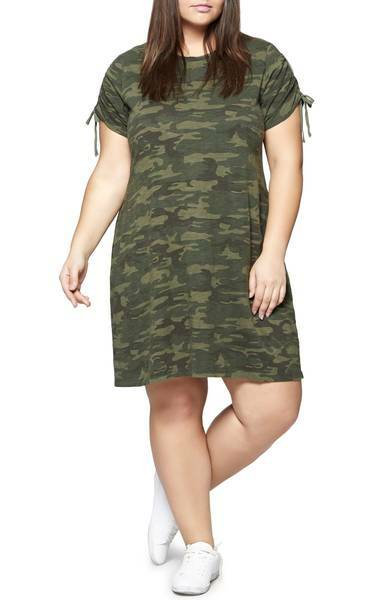 And it comes in plus size too!!!! If you aren’t a fan of camo, check out the striped version! AND LADIES! The SUNDAY TEE that everybody wanted is back in stock too! HOORAY! It’s sold out twice already, so don’t delay! And remember, if you are in the market for a new pair of denim shorts, you need to check out my highlight reel on my instastories (my instagram handle is @sheaffertoldmeto) where I review 4 different pairs of denim shorts (of varying washes, lengths, and styles). I sized up to a medium in the tee because I did not want it fitted at all. 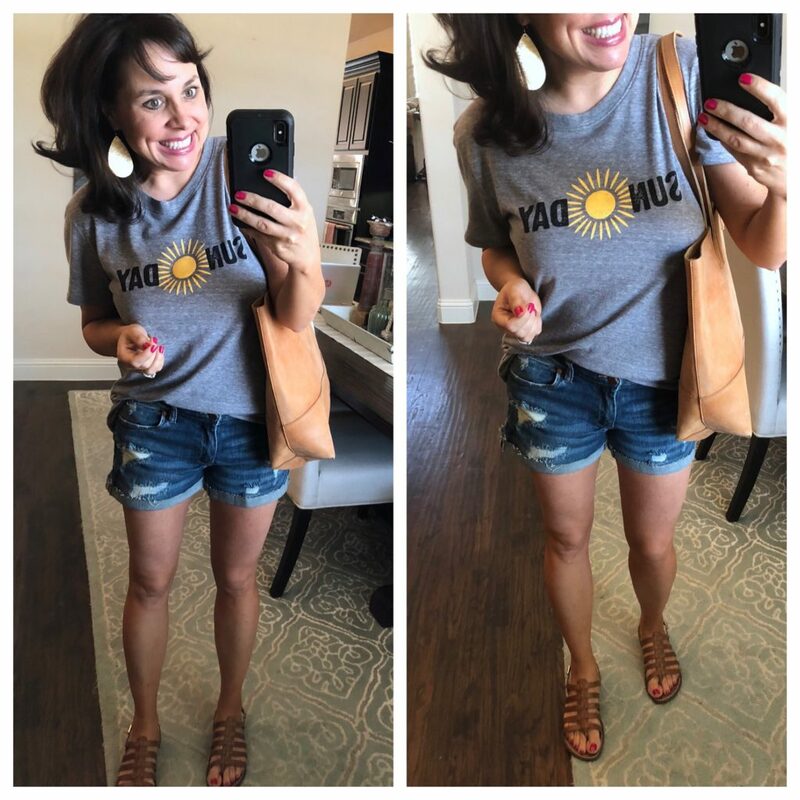 I could wear this basic outfit formula (tee, these denim shorts, and sandals) every warm day and be happy. Let’s take a minute to talk about the denim shorts, because they deserve a moment of our time. THESE. SHORTS. ARE. AWESOME. I got them last year, wore the heck out of them, and was so excited for y’all when they came back this year! They are stretchy, comfy, and not crazy short. I’ve tried on DOZENS and DOZENS of shorts over the last several years, and these are my favorites by far. They are tacked up on the sides in order to help them stay rolled up (which I appreciate), but know that you can’t roll them down to make them longer. I have a 27 in the shorts which is true to size for me, but size down if between sizes. Size up 1/2 a size in the sandals. And notice my gold leather earrings from Nickel and Suede! AND NOW FOR SOME SALE ITEMS! 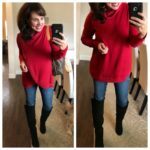 This red lace top is ON SALE! It’s almost $50 off! 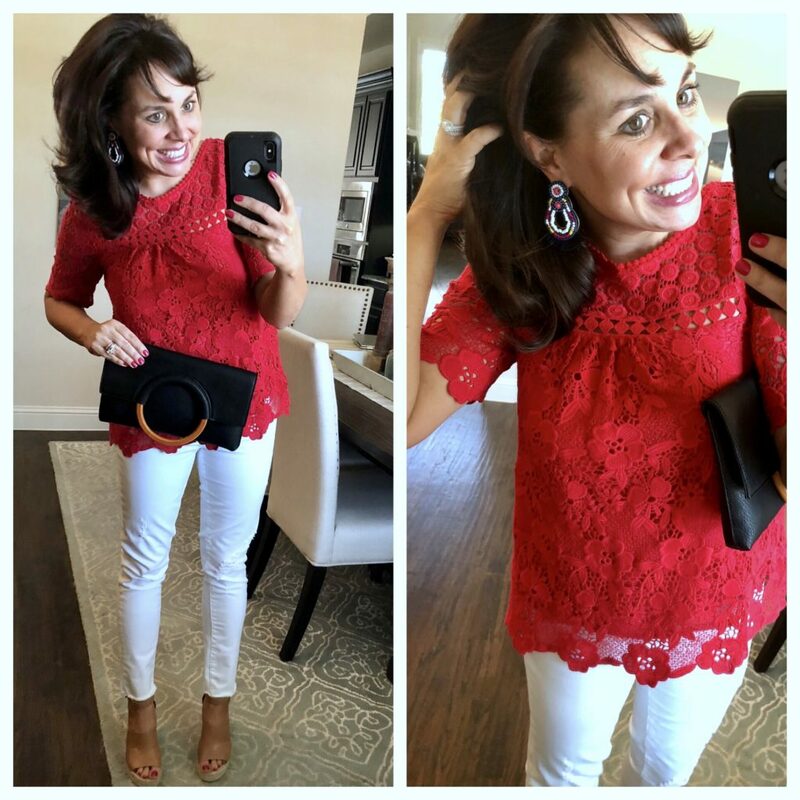 You saw this lace top on the blog several weeks ago (click HERE to see it styled the first time)…and here it is with different earrings and a clutch. I’m in between a 4 and a 6 in the top, so I went with the 6 because I didn’t want the 4 pulling. The wedges are true to size (but some are saying to size up a 1/2 if you have wide feet). I have a 27 in the jeans, size down if between sizes. This silk blouse is ON SALE for almost $60 off! The necklace is ON SALE too (NOW $29.95 / reg. $58)!!! The colors are gorgeous in person and the square neckline is so interesting. I sized up to a medium because the small pulled across the chest. Size up a 1/2 in the sandals. I have a 27 in the jeans, size down if between sizes. If you don’t have the white jeans yet, I’m determined to convince you that you should try them! Click HERE for the post where I feel like I made a really solid case for them. They are stretchy, they are comfy, they hug you in all the right places, and perhaps most importantly… they aren’t see thru. Oh wait, also of extreme importance is the fact that they are flattering as all get out. ’m encouraging you today, if you’ve always shied away from white jeans, GIVE THESE A TRY! For just $68, they could be your beloved white jeans too. Give them a shot! With free shipping AND free returns, what do you have to lose?!? And THANK YOU TO MEREDITH (a sweet reader) who let me know yesterday that some of my Baublebar earrings from last year are now available at a deep discount at Nordstrom Rack. Click HERE for all of the BaubleBar earrings available and on SUPER sale! Here’s another way I styled them. And these DARLING tassel drop earrings! Again, I’m sorry to report that the rest of the outfit is no longer available. And I was excited to see this promotion this morning! 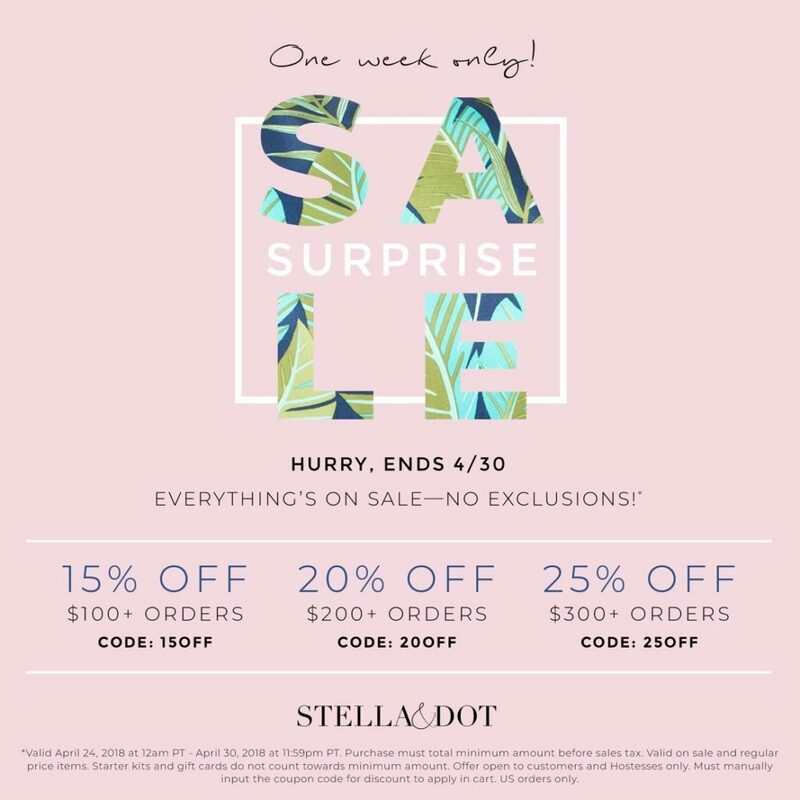 Buy more, Save more at Stella and Dot! AND, if you buy something this week, Narci will refund your shipping if you spend a minimum of $100 (ends 04/30). Click HERE to shop, and make sure that you are shopping Sheaffer Sims trunk show and that Narci Dreffs is your stylist! Mother’s Day is coming up, and their engraveable necklaces make fabulous gifts. You can get birthdays engraved on them, names, the first initials of all the kids or grandkids, the possibilities are endless! Time to admit something that I’m not sure I’ve ever shared before. I’ve watched it since high school. AND Y’ALL. It’s good now. I MEAN. REALLY GOOD. Right now I’m listening to three things: the dishwasher, the washer, and the dryer. After being gone for the weekend, I’m catching up on all the things. I’m feeling super productive right now because the work is being done for me….but as soon as they stop, that’s when the real work begins. And I happen to be that girl that almost always has to “fluff” the clothes in the dryer at least once. I told her that my whole family LOVES all of her products (my mom and sister are just as obsessed as I am), but I shared that I felt like I needed some help with what order I should be using them in. So, we are going to do a “Colleen Rothschild Told Me To” post and I’m super excited! I shared with (and showed) Colleen what my two biggest problem areas are, and she’s going to send me the specific routine that she recommends for me! How fun is that! Colleen Rothschild Told Me To will go live on May 16th during their huge sale! 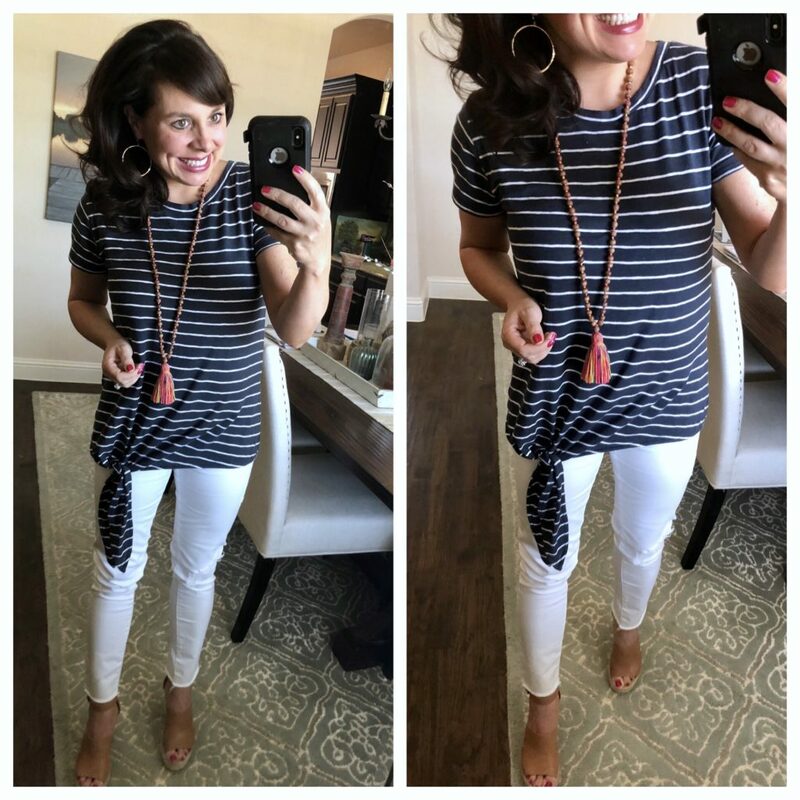 I showed y’all a picture of me trying this tunic tee on at the mall last week, and I said I couldn’t wait to wear it with white jeans and wedges. Well, it’s true. I couldn’t wait. I was wearing a small in the tee at the mall, but I ordered an x-small, and I definitely preferred the x-small on me (which is what you see on me here). I definitely suggest sizing down in the tee. Concerning jean size, I actually now have a 26 in the jeans (although I originally bought the 27s), and the wedges are true to size. Click HERE if you would like to see the tassel necklace in several different outfits. 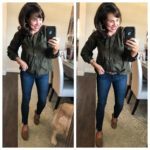 It’s a very versatile piece that I wear all spring and summer long…and I have for several years now. I received this dress in the mail yesterday, and I threw it on for pictures immediately because I’m afraid it’s going to sell out! This dress is 100% cotton and lined (so it’s NOT see thru)! I love the stripes, the square neck, and the embroidery around the neckline. Now, I’ll say this…I sized down to an x-small, and I am NEVER an x-small (especially in dresses). So, this dress definitely runs big. If you’re a teeny tiny person, then I’m afraid this dress might not be for you. I LOVE the dress. 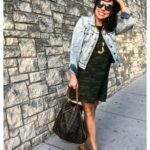 Shift dresses and swing dresses are my favorite silhouettes, and I also love that the arms on this come down a tiny bit for those of you that don’t like to expose the top part of your arms. The bag is FABULOUS. It was available yesterday, it sold out last night, but this morning it was available again! I’m praying for a huge restock because I can’t get over how gorgeous it is. It’s structured (with a very unique shape), has a cute little button and loop closure, and the rattan is a beautiful honey color. I hate to be a tease, but I have a gifting post coming up next week with Nordstrom. In that post, I’ll be sharing lots of gifting ideas….not just for Mother’s Day, but for all types of gift giving occasions, so make sure to come back on Monday! Now, don’t forget to link up! 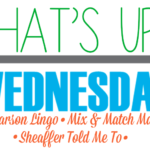 What’s Up Wednesday AND CONTEST!!! Oh no!!! I’m sad for you about that pasta! Bummer! That Colleen told Me to post sounds so much fun! Cannot wait! I have to admit also, I’m almost 40 and watch General Hospital every night after I put the kids to bed! I have watched since high school too! Betsy! You need to share what instagram accounts I need to follow!!!!! Ha ha! I follow Carly, Sonny, Jason, Spinelli, Maxi and Robin (you know, the actors and actresses, but I consider them to be their characters-is that weird?). Did you ever watch Dirty Soap? It was a reality tv show following some soap actors/actresses-it was amazing b/c it followed Sam and Maxi. So much fun! Hi, Amy! It’s lined (so it’s not see thru)!!!! Hooray!!!!! 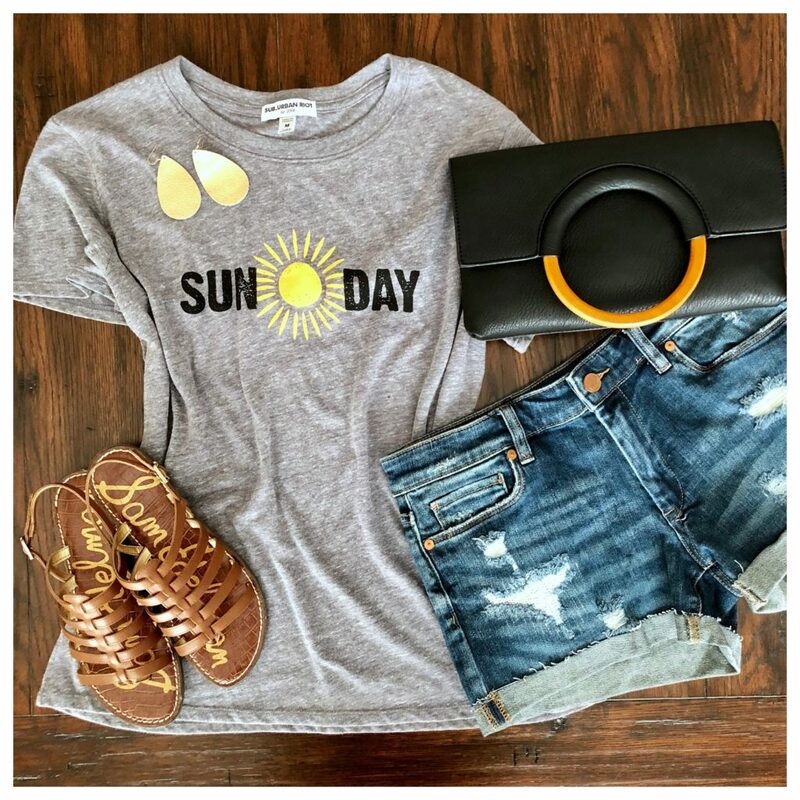 That Sunday tee is just my fave!! Oh my stars!!! That last dress is so adorable!!! So cute!!! I hate when my local grocery store is out of my diet food! Drives me crazy mad, lol! Can’t wait to see the gift post! You look fabulous in all the looks! Hey Sheaffer! I’m with the other reader that said whenever you put up ‘must haves’, you can considered it bought! Also, can we see where you keep all your jewelry/necklaces? You have so many gorgeous long ones! I have 5-6 pairs of the Nickel and Suede earrings, and they are great quality! I always get lots of compliments on them. My dad lives near her store in Liberty, MO. It is the cutest shop! I love that you still watch a soap opera….I was an All My Children fan and still wonder what they are doing in Pine Valley during the holidays. haha. Also, the photo bombers in your pictures are the best!!!! I don’t like my thighs so I’ve never liked jean shorts. I recently tried 2 pairs and my hatred continued my hatred. I decided to try these shorts based on your recommendation and I don’t hate them! Maybe even go as far to say I LIKE them. Thank you!! That makes me so happy, Laura!!!!! WooHoo!!!!!!! Hi! I want to try the pasta! Does the sauce come on it? Or in a separate packet? My daughter is dairy free so I would prefer to make my own sauce. Thanks!! That’s okay! I will head to the store and check the ingredients!! I love the pasta and can’t find it anywhere anymore. I have gone to 3 Walmarts, Target, Tom Thumb (they don’t carry it at all), and 3 Krogers and they are all out of the original. I even called Bird’s Eye and they said they couldn’t predict when stores would receive certain items and they don’t sell to individuals. I tried the cheese ones and they were not my favorite. I went ahead and purchased the marinara and alfredo which I haven’t tried yet. I told my husband that I will buy several bags of the original. Good Moorning!! I used to watch General Hospital but now only watch the Young and The Restless. Love your posts as always. I have a question for you…. I ordered two of the Sims Stone Pendants in Turqoise and White. The turquoise is exactly what I was expecting but the white is not. The pic shows the beads white and the stone a blue-green stone. My necklace I received the beads are a creamy beige and the stone is brown. I was wondering what the colors of your white necklace are. To be honest I was bummed when I saw the color. I was really excited for the white to wear on vacation. I did try to call the company and left a message but no reply at this time. Mine should arrive in a few days. I will let you know the colors. I am also expecting white, not cream…nor a brown stone. General Hospital! YES!! I must admit I have honestly been watching since I was in elementary school! My mom watched it and I can remember things that happened waaaay back. I was entirely too excited about the return of Jason Morgan. LOL! And, I keep stalking my local Kroger for the Skinny Cow choc PB ice cream you’ve posted. No luck so far. Hi Sheaffer- great post! Can’t wait to see you in the cork N and S earrings bc I’m torn between trying those and the gold ones. Love that little rattan purse!!! Keep us posted when it comes back in stock !! You’re still the best!! So glad you love Nickel and Suede! They are based here in Kansas City, with their darling little shop on the historic square in Liberty, Missouri. It’s dangerous to go there because limiting yourself to just one pair of earrings is HARD. They will also recycle all their packaging at the store, so yay for being good stewards! Most of my (cough, cough) seven pairs of their earrings are in the medium size, but I did buy a couple in the small. I think they look great when you just want a more simple look. Thanks for supporting local, small business! I have been eyeing those white jeans for weeks now. How stretchy are they? I have a couple pairs from Ann Taylor and I swear they become a whole size bigger within an hour or two. Sheaffer, my Sims Necklace arrived this weekend and I am also so disappointed. It is definitely cream colored…not white at all. My stone is brown and cream. Their website shows it as white with the aqua – blue stone. Yours seems to look like this, a nice white tomgo with white clothing. I’m not sure what’s going on. I sent an email like you suggested, and will,wait to hear from them. This is a fall necklace. I was wanting to take it on vacation, also. Anyway, I thought you needed to know Kristin above isn’t the only one getting this color. They got back with me and were very accommodating. They have even changed the color description on their website to “ivory” not “white”. On closer inspection, the stone is the same color as you have on in your photos, but the beads are definitely not white. It truly is a beautiful necklace, the beads have gorgeous colored veining throughout. Although this won’t work for what I intended over the summer, it will go with a few things. I imagine I will be wearing it constantly in the fall, and spring (when I’ll be wearing blue jeans, not white jeans). I’ve decided to keep it and now that I’m over my initial disappointment, am glad I am doing so. Although they did change the color description, they need to change their photo on the website. Perhaps they might do that, too. Thanks for your help! I love that Madewell embroidered dress on you! Just so cute…and lucky me, it just went on sale on the Madewell website! Do you think I would need an XXS or an XS if I normally wear a size 2? You said it runs really big. Also, do you feel like it’s too short? I’m 5’3″. I’m so glad I got the XXS, it’s still pretty generous but my neighbor gals gave it the thumbs up! Yah! 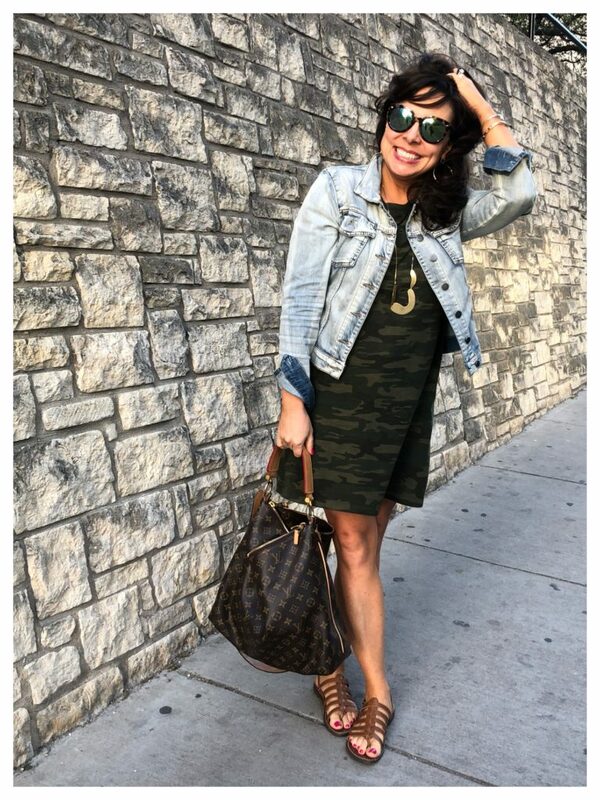 I wanted to let you know how much I love my leather earrings that I initially heard about from you! I sent the link to my husband as a suggestion for a Mother’s Day gift 😉 — they are so light and I love the faint gold mottling (if that’s what it is?) in them. Thanks again! !